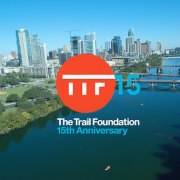 At The Trail Foundation’s annual State of the Trail address on Dec. 8, TTF’s executive director Heidi Anderson (formerly Cohn) announced 15 new projects in honor of TTF’s 15th anniversary next year. Slated for completion on the Ann and Roy Butler Hike-and-Bike Trail over the next five years, the projects range from new trailheads and bathrooms to new water access points and playgrounds. 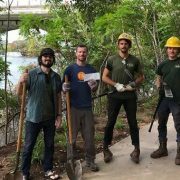 To pay for the 15 projects, The Trail Foundation also announced the creation of the Canopy Fund, in which donations will be dedicated to finance the initial phases of each future project. 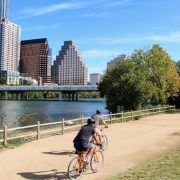 Nine projects are on the east side of the Trail, four on the west, and two along the entirety of the 10-mile Trail. 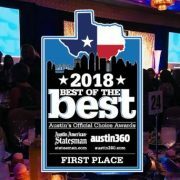 Pleasant Valley/Lakeshore Restroom: a new locally designed restroom at the intersection of Pleasant Valley and Lakeshore Blvd. *These 15 projects are concepts and subject to change due to factors including funding, unforeseen issues, new opportunities or priorities, etc. 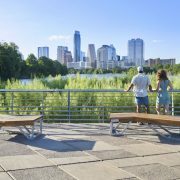 The State of the Trail address also featured a presentation from Gia Biagi, Studio Gang’s principal of urbanism and civic impact, who discussed the firm’s work reimagining the Seaholm Intake building on the shore of Lady Bird Lake. 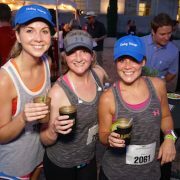 Public input for the project is being collected through Dec. 18, and the next phases of the project will include community engagement meet-ups in the space next year. 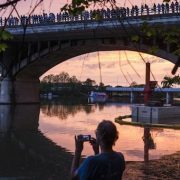 In addition, TTF announced it will break ground on the new Trail Bridge at Congress Avenue in early 2018, replacing the current wooden bridge with a 14-foot wide concrete and steel structure that will allow for cyclists and pedestrians to safely pass one another and add more space for people to view the popular Congress Avenue bridge bats. 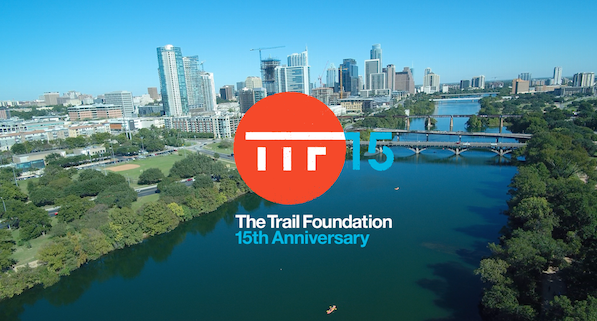 The Trail Foundation’s 15th anniversary teaser video debuted today can be viewed here. 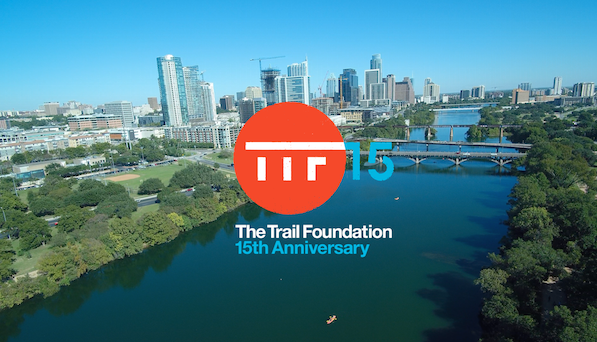 To keep up with TTF’s 15th anniversary news, events and updates, use the official hashtag #TTFturns15.